Well, it is the last day of February so with the weather up in the 50 I coked Pork Steak outside on the grill ! They now leave the grills out all winter for us to use. It is the last day of February so we are waiting to see how March comes in, If March comes in like a Lion it will go out like a Lamb, or if it comes in like a Lamb, it will go out like a Lion !!! There is very little snow outside right now, February warmed up about a week ago and we did et some nice wind and rain to knock the snow down. This is out back tonight just before it started to et windy and rained ! We did get in a walk outside after supper before it got dark and rained. Hopefully Spring is only 3 to 5 weeks away ! Well, February 20th rolled around and I was blessed to celebrate my 71st Birthday ! We had a nice quiet day, I played at the Nursing Home and entertained the residents for my Birthday !!! Such a Blessing for myself and the Guys I play with. I am Blessed, with all my Medical Issues, Heart Problems, the Stroke I am doing OK.
My Honey thinks I look pretty good for being 7 decades old. We had a little get together at Church and I had about 20 of my Sunday Church Group get together for Cake and Ice Cream and music and Prayer ! Hard to believe that February 21st it was 60 degrees here, and raining and we have lost most of our SNOW!!!!!!!. Well, Time for a Cup of "Chaga Tea" and relax !!! We are getting plastered with SNOW ! Might get another foot or more, Oh Well, can not stop it ! Tim clearing out a path to the Bird Feeders and path around the Building ! Tim our Maintenance Man with a New Snow Blower, wore the other one out !!! Not going to Bar B Q much on these 2 grills yet nor sit at the Picnic Table ! My Honey outside filling the Bird Feeders, we got lots of Birds just before a nasty snow storm ! This is Poor Construction, Insulation is missing from the crawl space here allowing heat to escape thru the roof ! Well, Time for Pills and a walk and check on the storm ! 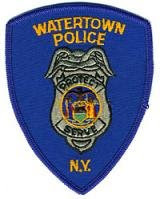 Hope everyone is safe and warm and Don't forget our Veterans, Past and Present ! Still feeling "under the weather", Coughing, sore lungs, back ache and have lost some weight. This "RSV" Viral Infection is tough, I am home tonight and not playing at the Nursing Home tonight with our group for the residents !! I was going thru the Clothes Closet and this was the last new pair of pants I bought 2 years ago and shows how much I have lost in weight and size! I am down to 205 and waist down from 48 to 40 !!!!!!! This is a picture of me back before I got sick sitting at my Desk at the American Legion ! I have sat at this desk as the Post Historian for almost 20 years. Above is a picture of me in Franklin Virginia, I am at the Pistol Range, This would be about early 1970 and I was trying out several Pistols and Revolvers with a couple friends . Ready to "Board a Vessel", I have on an old Cover from the US Navy, I have a closet of Uniforms from Marines, Army, Air Force, Navy, WW1 and WW11, Medals, Ribbons and Paperwork ! 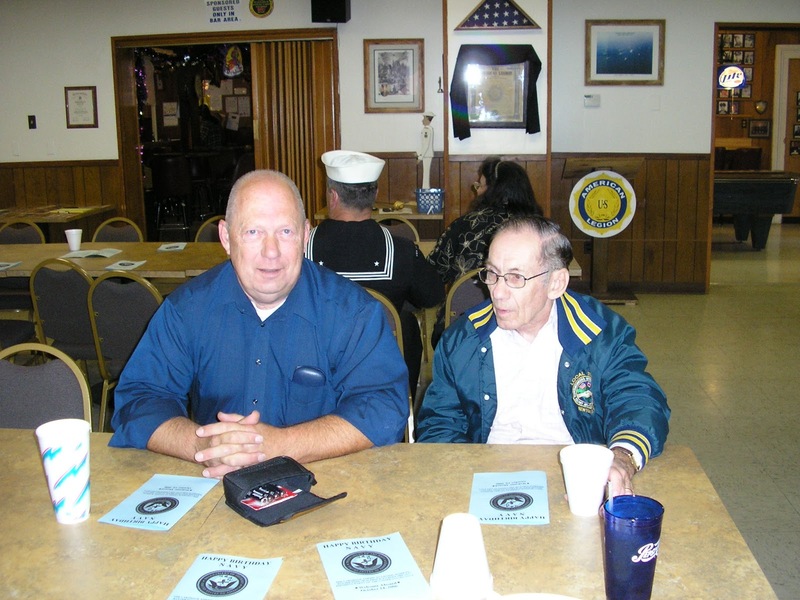 A Picture of my Brother Jim and I at the 231st Birthday Party of the US Navy at our Legion a few years back ! 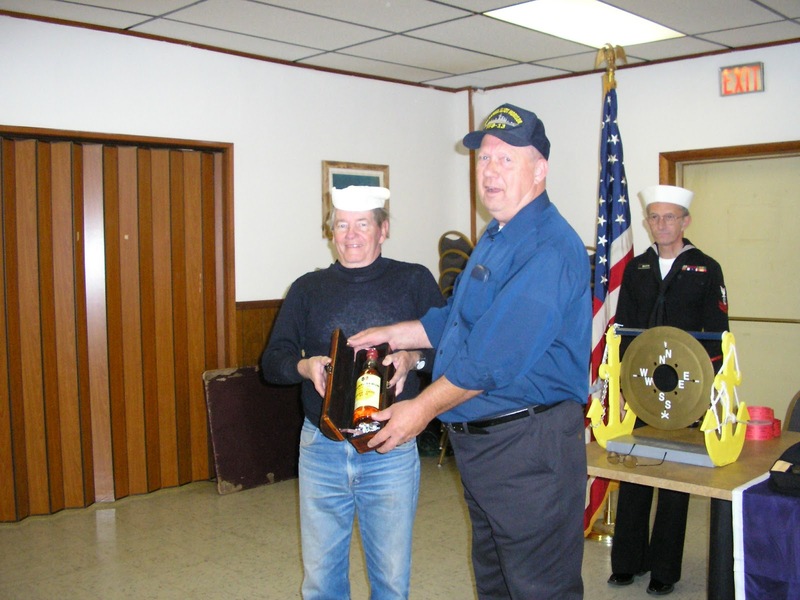 I am wearing the Pants I showed above before I lost all the weight, This was NAVY DAY and BM1 Lenny Gillian is holding a Bottle of RUM he won on the raffle, standing behind is our Post Adjutant PN1 Bill Mastin ! This picture is in Norfolk Virginia for a reunion of the USS Samuel Elliot Morrison FFG-13 ! Well, Time to tale a walk thru the Hallways with the wife !!!!. 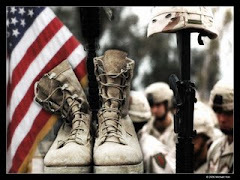 Don't Forget, Remember our Vets !!!!!! Not much to "Blab" about on the Blog, I have been hit with the "Bug", Cold Chills, Cough, Runny Nose, Dizzy !! Went to Hospital, Blood work, labs, cat scan, I have RSV which is worse than the flu for us Old Foggies, , if you want to see what it is just Google (RSV or FLU) ! It is a "Lake Effect" Here is a short video of it. Snow Storm where ya can get 2 -3 Inches snow an hour ! Oh Well, have seen a lot worse. Winter used to be lots of fun when younger, Here is a picture of me when I was deciding that I wanted to be a Sheriff, Got my Roy Rogers Pistol and Holster, wish I still had it !!!. 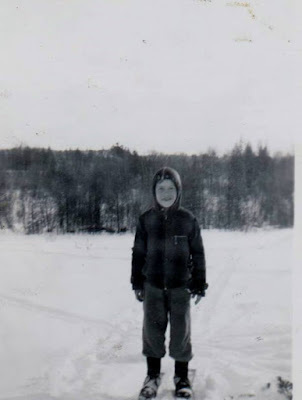 This is when I took my Dad's 8 foot long Hickory Hand carved skis and went cross country !!!!! Well, I am going to go take some Nyquil, and lay down !!! !